Karmic Clearing | Jeff Eisen, Ph.D.
Posted on June 27, 2015	by Dr. Jeffrey Eisen, Ph.D. The Eastern religions have a word which encompasses everything that PsychoNoetics clears. 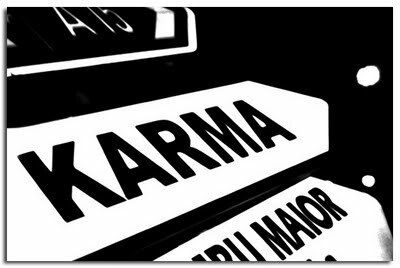 That word is karma, which is why PsychoNoetics is sometimes referred to as karmic clearing. Karma is everything you hold that takes you out of reality, that reality that is also called nonduality, Oneness, or absolute, cosmic or God consciousness, (among other things). There is no equivalent word for Karma in our Western world because we still conceive of reality as the physical appearance of things, and do not recognize consciousness as the real ground of being. Karma then is the totality of illusion, including of course delusion. Illusion is the world as it is given to us if by our perceptions, whether or not our perceptions are grounded in consensual reality. Everything that we hold, everything that we conceive of, everything outside of an empty, still mind – is illusion. When we see something and recognize it, that is illusion. When we think, that is illusion. When we are in memory, past life or present, we are illusion. When we anticipate the future we are in illusion. When we hold and live in a concept like time, location, or linear cause-and-effect, we are in illusion. Delusion is a subset of illusion. Whenever we are in an illusion which is not grounded in consensual reality we are in delusion. (Note that I said illusion. Frequently people who are fully sane and in touch with their real reality are mistaken for insane – because they do not fit into a basically insane society). PsychoNoetics then clears karma, all of it, however it is held. It clears both illusion and delusion. It begins by clearing oneself and others, both locally and nonlocally. However it is also capable of clearing the karma of past lives; collective consciousness and even evolutionary consciousness (although all levels of karmic clearing, even self-clearing and clearing others, are subject to limitations). Karma is neither a thing nor an accumulation of things; it resides in consciousness and consciousness is not a thing; it is a field. In this field of consciousness, thought creates form. Everyone, when in pure consciousness, is a center without boundaries. However when you bound yourself through thought- in any way; when you think I am something, you generate a self-concept and that creates a boundary around yourself. You then contract to that bounded identity and your sphere of influence become limited by it. You literally become separated by it and separated don’t have any connections or influence beyond your boundaries of your identity. What you think you are becomes what you are; it becomes the self-created boundary of your consciousness. In this state of separation, of bounded identity, it is impossible to clear karma or heal in any way. On the other hand, when you abolish all thoughts and return to still mind, you suspend the illusions of thingness and separate identity and once again become an unbounded center of the field of consciousness. To the degree to which you are successful in doing this, you regain “your” power and once again become able to influence other consciousnesses through your focused intentions. Some light workers, clearers and healers of different persuasions master the “trick” of going into a state of “love” when they are working, which automatically suspends their thoughts and brings about still mind. However they lapse again into ignorance and confusion when they are through working. This is not true PsychoNoetics. PsychoNoetics is not only an intentional clearing and healing modality; it is a path to enlightenment. It is the clearing path. This entry was posted in blog, psychonoetics and tagged consciousness, illusion, karma, karmic clearing, psychonoetics. Bookmark the permalink.